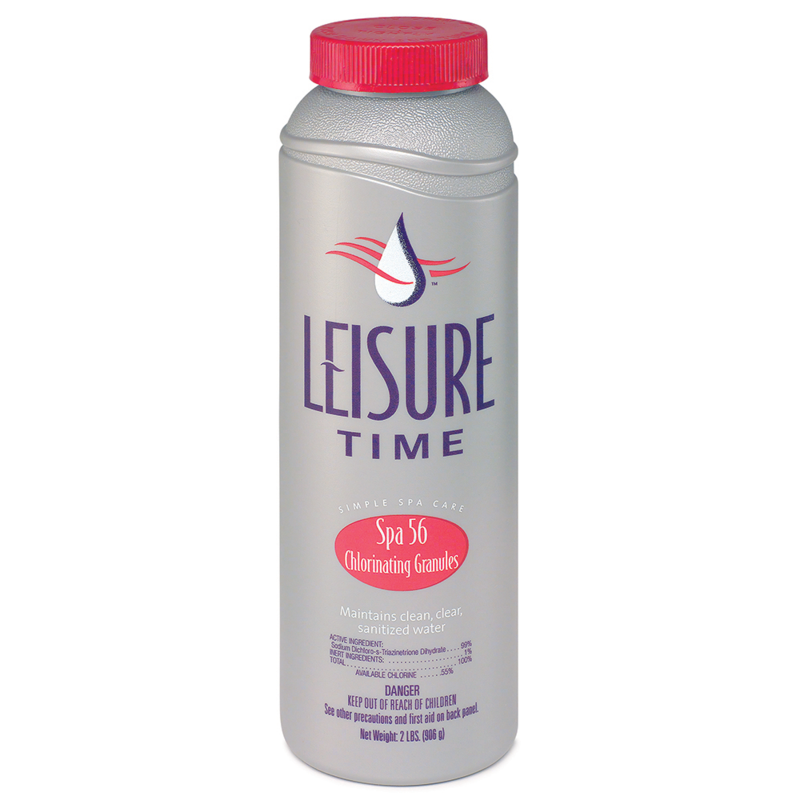 Leisure Time Spa 56 Chlorinating Granules provide a reliable and easy-to-use source of concentrated chlorine. 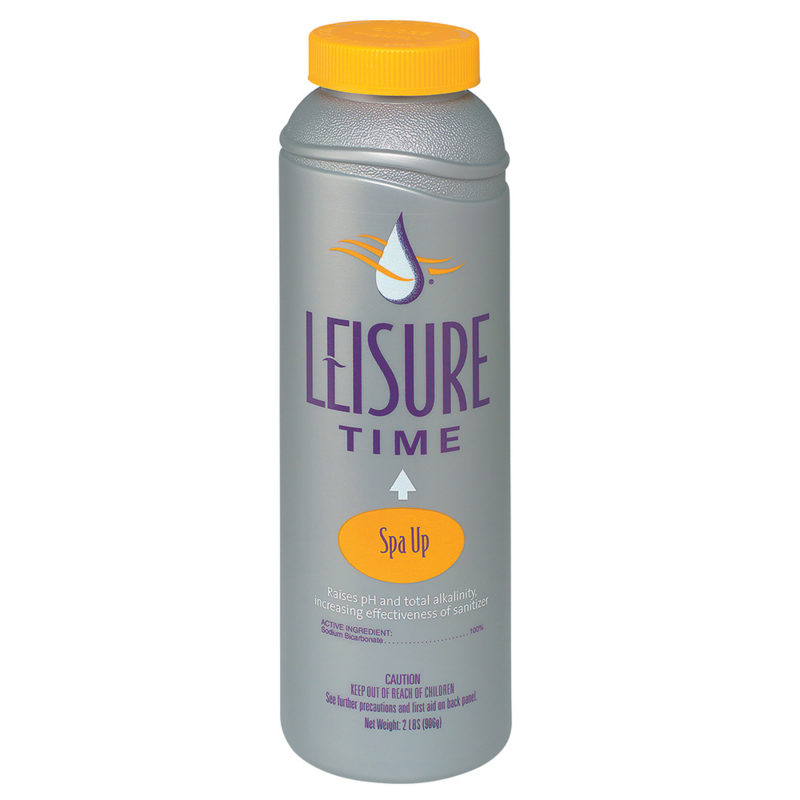 Specifically formulated for spas, this concentrated granular chlorine effectively sanitizes and disinfects hot water. Maintains clean, clear, sanitized water. 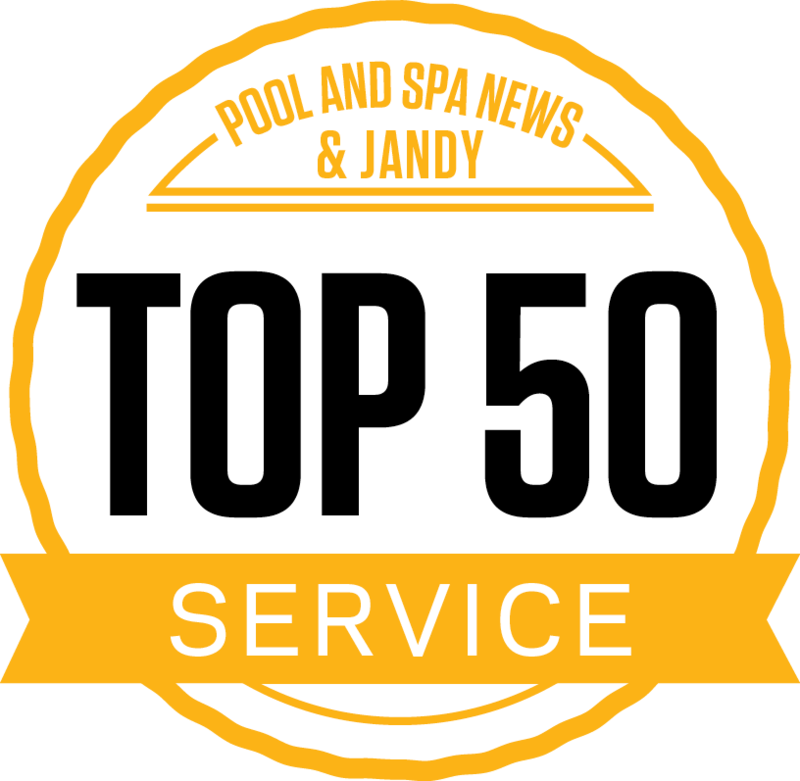 Heavy bather usage or the use of oils or lotions may increase the chlorine demand resulting in the need for more frequent checks of chlorine demand. 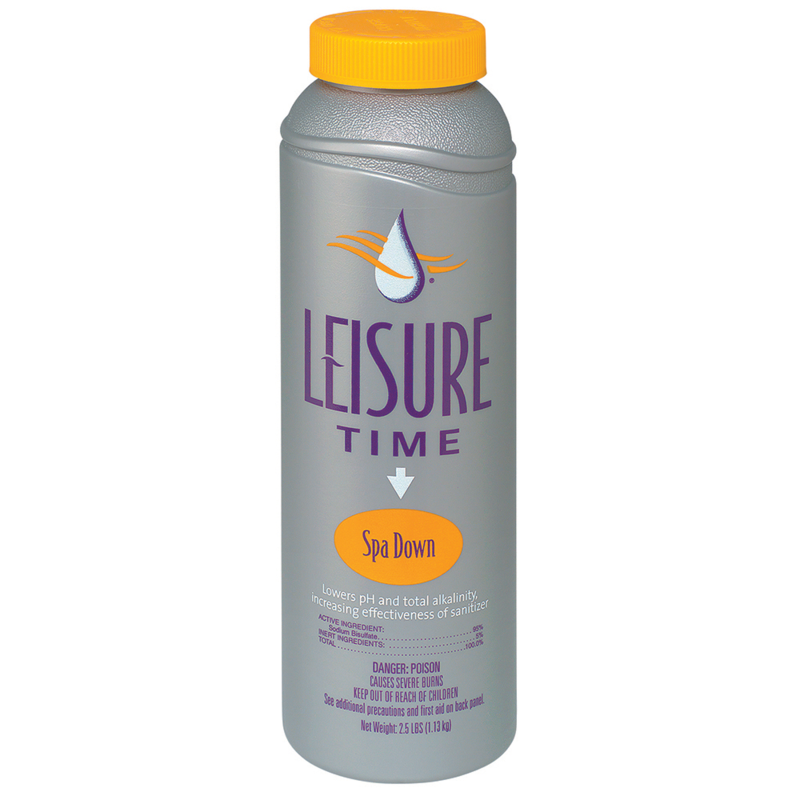 Can be used in larger quantities to superchlorinate (aka shock) the spa water. 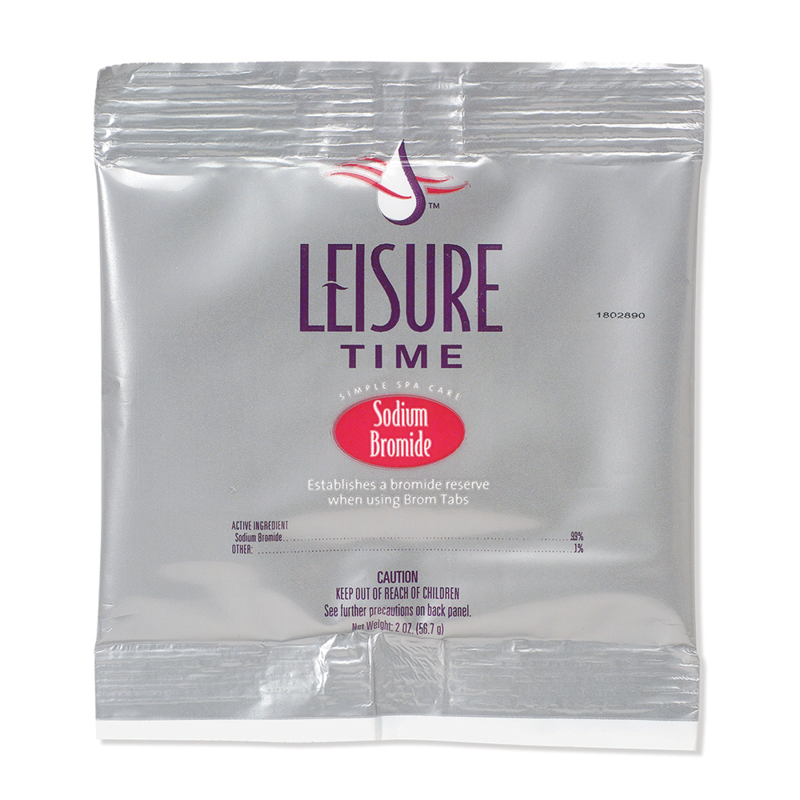 Leisure Time Sodium Bromide is used to establish an immediate bromide reserve in your spa. 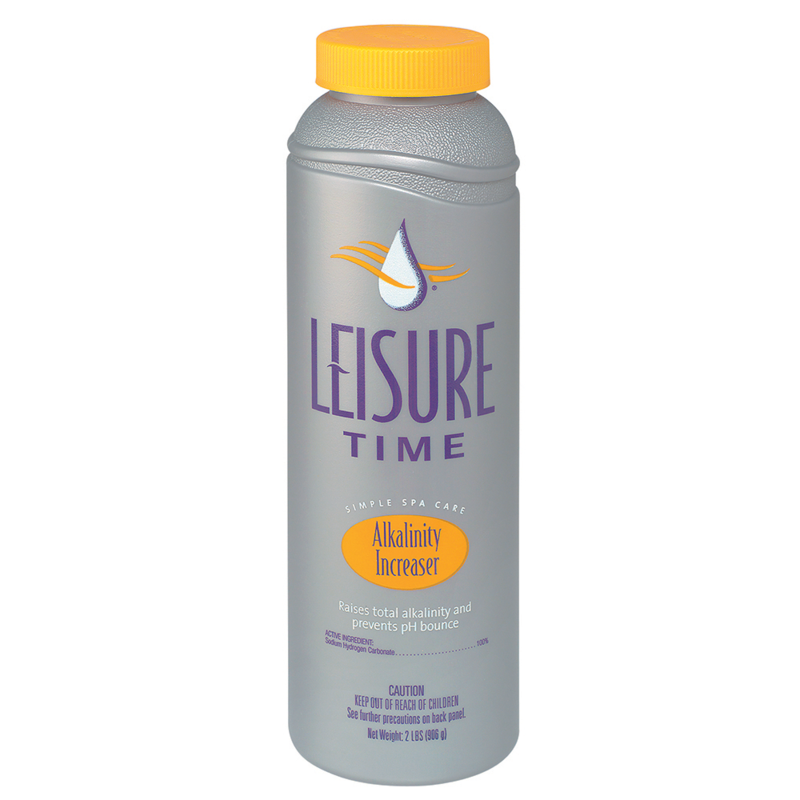 When used with Leisure Time Brom Tabs, the disinfection of the spa will be completely bromine-based and chlorinous odors will not exist. 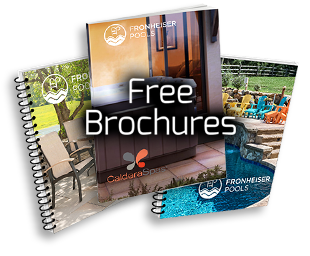 Granular product gently adjusts water pH and alkalinity upward.